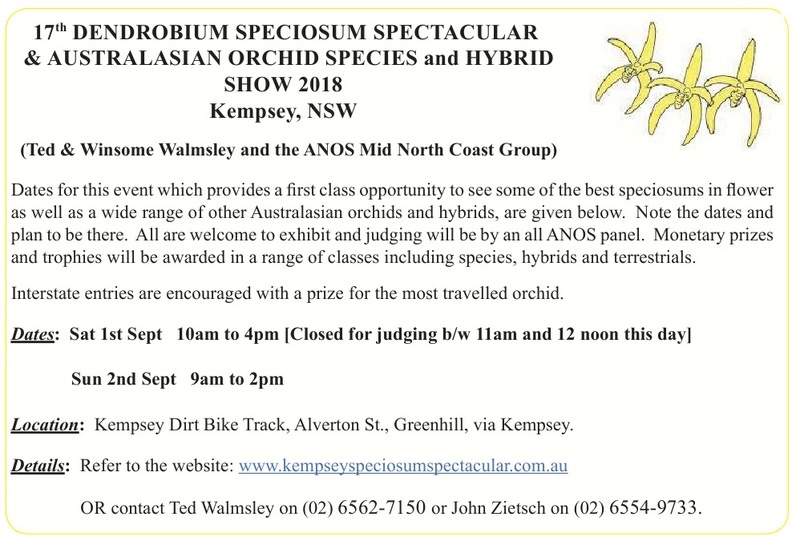 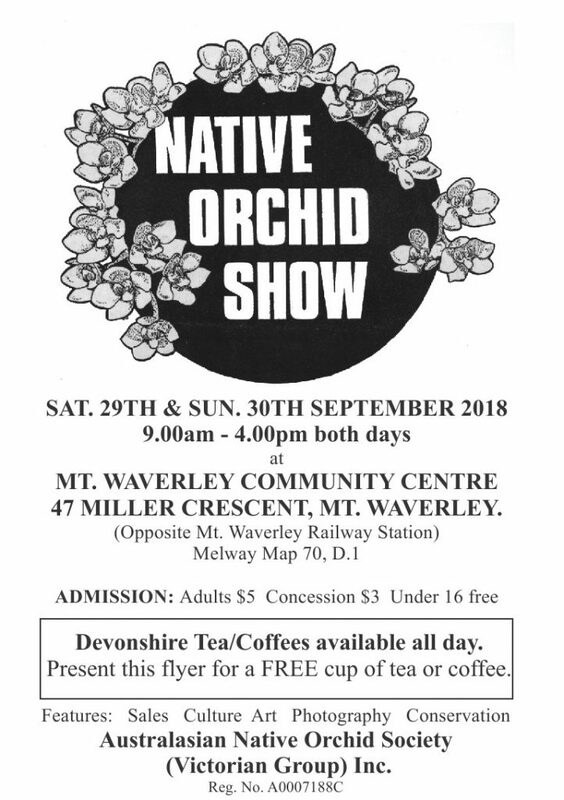 Events – Australasian Native Orchid Society Inc. 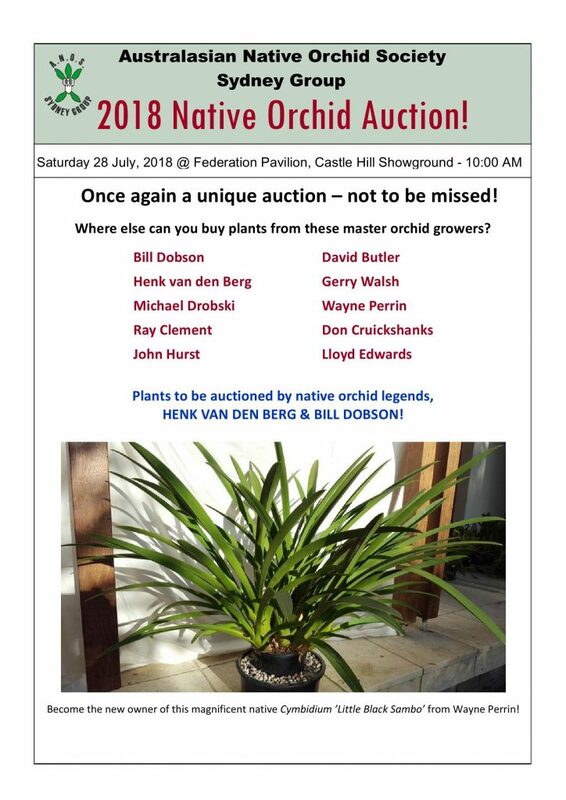 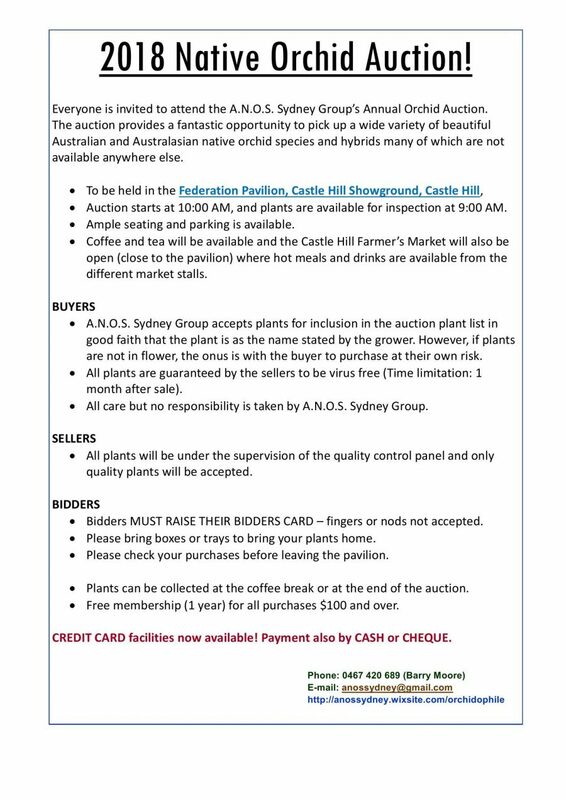 The NSW Government’s Whole Plant Sustainable Management Plan 2018-22 commenced operation on 1st January 2018 and it contains important provisions that affect members of ANOS Groups and other orchid societies and individuals who grow and sell Australian native orchid species which are native to NSW. Orchid events which you won’t want to miss!! 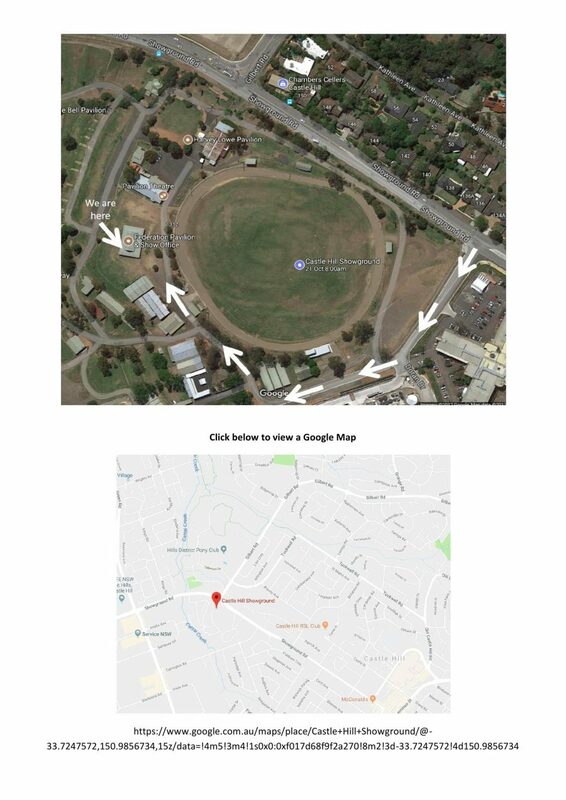 Friday 6th to Sunday 8th April 9am to 5pm each day. 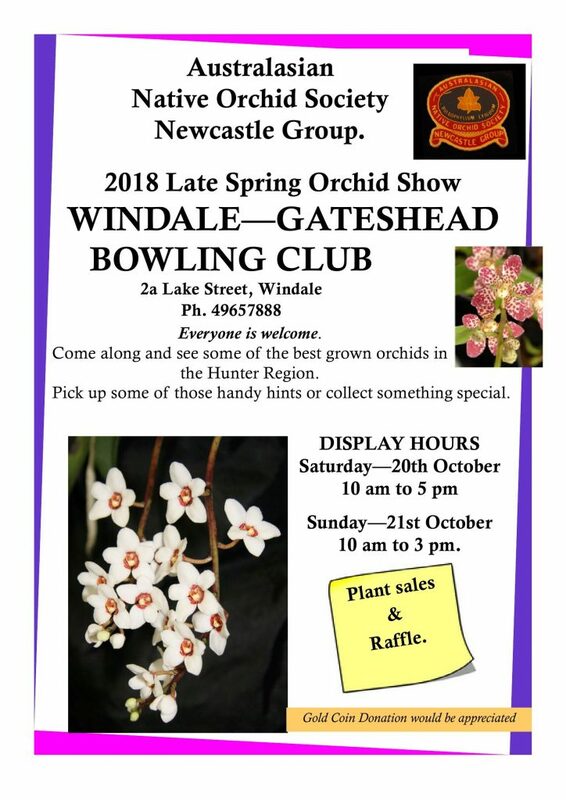 Guest vendors will be Rosella Orchids, Dark Star Orchids, Camira Orchids and Strongrow Native Orchids. 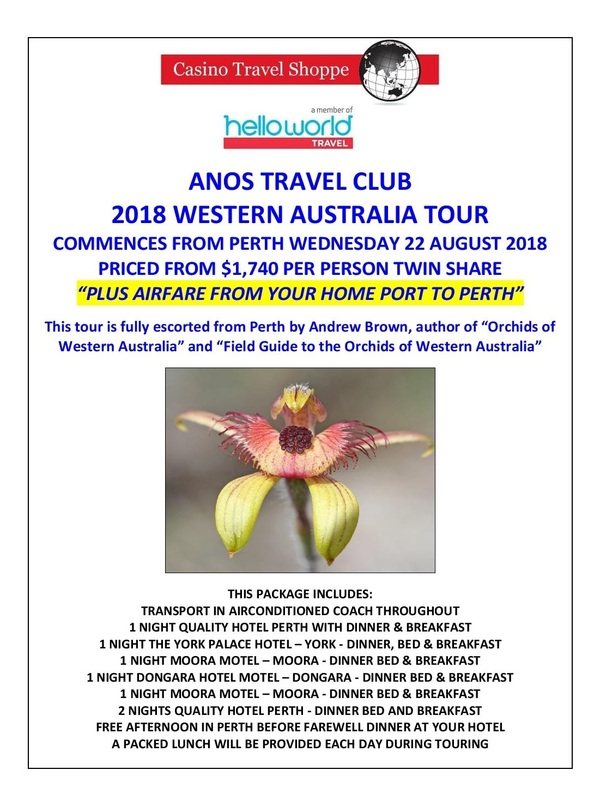 For more information click here to download the full itinerary.